“Nobody ever imagined that this final event would be anticipated in the case of one person in the present. No first-century Jew, prior to easter, expected it to be anything other than that large-scale, last-minute, all-people event” . This point is emphasized heavily in N.T. Wright’s landmark tome on the resurrection of Jesus . Wright takes this to be evidence the resurrection of Jesus really happened, for only perceptions of Jesus appearing alive again after his death and an empty tomb being discovered (i.e., what the gospel stories narrate) would have generated such a belief. The best explanation for these twin phenomena is that Jesus really was resurrected . This is far from the only argument mustered by apologists, including Wright, to defend the historicity of the resurrection of Jesus, but to Wright it appears to be especially important. These ancillary arguments attempt to provide more of a reason why the ancient Christians would avoid wanting to say Jesus had been resurrected, but the point is, “no one had thought of or expected this very precise thing before” isn’t really a sound argument for why no one would come to believe or “imagine” it on their own without being “forced,” as it were, by some in-your-face event corresponding to the belief itself. It’s nevertheless difficult to see what massive discontinuity Wright sees between the idea of the resurrection of Jesus as an individual and the doctrine of a future collective resurrection. This is a culture where people believe in entities like messiahs and concepts like magical resurrections, so despite Wright’s insistence to the contrary, I don’t see why this should compel a historian towards his historical conclusions. Where resurrection beliefs are debated between Christians and other Jewish sects in our New Testament sources, the issue at hand is whether resurrection occurs at all, and it usually involves the Sadducees, who denied resurrection. In fact, in a story told in Acts 23.1-11, Paul (a Christian at this point) exploits this difference to get out of a tight spot by playing Pharisees against Sadducees. Whether “one guy” could be resurrected never comes up. As a response to this important aspect of Wright’s case, the above points could be considered sufficient to call Wright’s reasoning into question, at least in the opinion of this writer. Along those lines a great deal more could probably be said. But it can also be argued that there are multiple problems with Wright’s view in terms of the evidence of ancient beliefs. 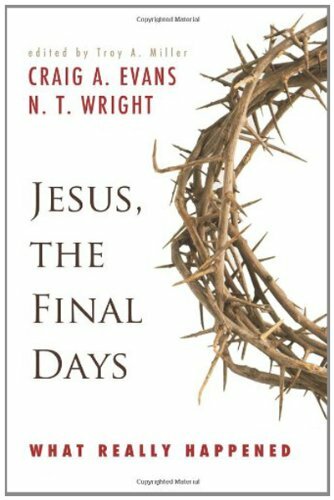 More than simply not leading to the conclusions he wishes to draw, Wright’s strong emphasis on how unprecedented the resurrection of Jesus was seems to be false, unsupported, and/or greatly exaggerated. The New Testament scholar David Bryan offers one such direct challenge to Wright’s position in a 2005 issue of the Journal for the Study of the Historical Jesus (“The Jewish Background to The Resurrection of the Son of God by N.T. Wright”) devoted to responses to Wright’s 2003 tome. Bryan’s very interesting critique focuses on neglected aspects of the Jewish background to the resurrection . He makes three key points, all of which Wright managed to carelessly misinterpret in his rejoinder in the same journal issue . a) Wright exhibits a canonical bias, which tries to contain the development of the Jewish doctrine of a future resurrection inside a canonically constructed theological framework of Israelite restoration. Wright ignores non-biblical Jewish literature (especially 1 Enoch) that doesn’t fit that framework. Resurrection passages in 1 Enoch, sections of which are older than Daniel (Wright’s key text), seem to be more concerned with questions of theodicy . “Thus the picture of a primary or mainstream of belief in relation to resurrection needs to be adjusted to something more akin to the Nile Delta with many tributaries. While this is not devastating to Wright’s overall argument, it does weaken it and does not dispel the impression that the evidence has been enhanced in the interests of apologetics” . c) Traditions of exceptional fates of exaltation or translation for individual Israelite patriarchs and prophets form a plausible background to the resurrection and exaltation of Jesus. “As Bryan himself says, Enoch and the rest did not die; that … was the whole point. The tradition quoted in 1 Cor. 15.4 is precisely about someone who was well and truly dead and who, on the third day, was well and truly alive again. As far as Paul was concerned, this did indeed mean (the point Bryan is questioning) that “resurrection” had split into two: Jesus first, others later. Had anyone been able to come back at Paul and say “but Paul, you know there are three or four people at least who are already resurrected”, I do not think he would have written 1 Corinthians 15 in the way he did” . This response shows that, as with Bryan’s first two points, Wright simply didn’t get it. Charlesworth’s only basis for this definition are various Jewish and Christian texts that express belief in a collective resurrection in a future age (Charlesworth in Resurrection, pp. 12-17). But these texts don’t all involve “eternal life.” For example, 1 Enoch 25.6 states the righteous dead will be resurrected, but God will give them a longevity equivalent to the antediluvian patriarchs (think Methuselah here and all those tedious genealogies in Genesis). They thus implicitly die. In resurrection texts that do mention immortality, “resurrection” cannot “denote” being dead and then being given immortality, since the evil dead are also resurrected (e.g., Daniel 12.2f.). As Wright has cogently argued (in my opinion), the language of “resurrection” implies a corpse being restored to life. There are several tales of this kind of thing happening to individuals in Jewish, Christian, and pagan lore, as Wright acknowledges. This refers to an event many Jews supposed would take place in a future age when God would bring the righteous dead (and sometimes the evil dead) back to life for judgment, to inhabit the future age, etc. Depending on which texts you read, this event sometimes included God making some or all of the people he has brought back to life immortal (this is the view Paul expresses; see further below). Specifically excluding Platonic views of the immortality of the soul and escape from the body, this can happen without the person dying (i.e., they escape bodily death) and usually does, though not always (cf. Testament of Job 39.8-40.3). It’s equivalent to “translation” or what Bryan means by the “exaltation” of Enoch, et al. This appears to be wrongheaded. There are not different “kinds” of “resurrection” in this sense. 1 Enoch 25.6, as mentioned, states the righteous dead will be given a longevity like the antediluvian patriarchs. In 2 Baruch 30.1-5 and 49.2-51.16, the dead  come back to life in their recognizable forms so that they can be seen by the living. Then the righteous get to choose various “glorious” immortal forms, while those who are evil are transformed into various hideous shapes (presumably they don’t have the benefit of choosing them). In Daniel 12.2f., the righteous dead are resurrected in order to be given immortality, while the evil dead are resurrected to suffer shame, albeit everlasting shame (what this entails is not stated, but it certainly isn’t “eternal life”). In 4 Ezra 7.28-44, the whole world dies, even the reigning “son of God,” and then all are resurrected (righteous and evil) to be judged and consigned to either hell or paradise. These are descriptions of the different ways the authors imagine God will make humanity in the future age, the resurrection being necessary for those who are dead to participate in it. This is significant for Bryan’s bringing up Paul’s statements in 1 Corinthians 15.51f. (see quote above). The key in this passage is that in order to “inherit the kingdom of God,” one must be changed to be made immortal. When the resurrection occurs, it happens simultaneously with a bodily transformation which makes the dead immortal, but again, this transformation isn’t a “kind” of resurrection taking place, since it also happens to the living (and is essentially the same as what some texts say had already happened to Enoch, et al.). One does not have to be “resurrected” first to inherit the kingdom, since not everyone will die. But if one is dead (the body being important to “living” on this kind of anthropology), they have to be restored to life. Paul is not describing “resurrection” per se; he is describing what he imagines the event of the resurrection will involve, since it occurs in a setting where God is redesigning the world. If Jesus had been merely resurrected (item 1 above), this wouldn’t have been all too interesting, since individuals who are resurrected can certainly die again. The ancient Christians couldn’t claim Jesus was merely restored to life anyway, because questions would be raised about where Jesus was and why he wasn’t doing any of the things a messiah ought to do on earth. But Jesus was also translated, made immortal (item 3 above). Christians had to remove him to the immortal realm, away from normal human existence, and say he would come back a second time to do the job right. For now, his activity and reign as the messiah was unverifiably transcendent and mythological (if nothing else, this is an obvious rationalization of the inconvenience to the early ‘Jesus movement’ posed by Jesus’ death) . If “resurrection” language wasn’t necessarily linked up with notions of the resurrection, then why does Paul say Jesus’ resurrection represented “the firstfruits of those who have died” (1 Cor. 15.20)? Does this not prove that Paul is talking about a “kind” of resurrection distinct from other “kinds,” since he must have known of other resurrection stories? In fact, I think not. Paul isn’t saying that no one has ever been resurrected. Paul seems to be just asserting Jesus’ resurrection to be the first instance of the collective resurrection instead of being distinct as in other resurrection stories. This is part of a rhetorical strategy of refuting the denial of some of the Corinthians of a future resurrection, so that if they deny the latter, they must also deny the former (1 Cor. 15.12-34). They already accepted the former (1 Cor. 15.1-2, 11). It doesn’t bear on the question of whether resurrection could happen to individuals. The language of “resurrection” is not exclusively either eschatological or “collective” in ancient Judaism. Jesus’ resurrection therefore couldn’t be some kind of “anachronism,” since the language of resurrection was applied to individuals in multiple stories. Jesus’ resurrection was important to get him alive again, and it’s significant for that reason (since that’s what “resurrection” means). However, he was also immortalized. As David Bryan argues, this is an aspect of his fate that is conceptually linked to what had already happened to other individuals in Jewish lore. Jesus is not unique or exceptional in either regard. When Wright argues that he is, he is erroneously abstracting what occurs at the event of the resurrection in various texts that concern the future age into a “kind” of resurrection that happened to Jesus and asserting that the language of resurrection as applied to Jesus is really an anachronistic statement about the event of the resurrection because Jesus is made to be immortal. The sum of what I have argued above leads to one final point of Wright’s case. Wright thinks it significant that in the resurrection narratives in the gospels, no explicit connection is made between the resurrection of Jesus and the future collective resurrection, unlike in every other instance of Jesus’ resurrection in ancient Christian literature. He takes this to be evidence that the narratives are early eyewitness accounts that evince the excited confusion the eyewitness experienced before they drew any theological implications. In short, we have reflected in these narratives substantially and in a fixed form what the eyewitnesses were thinking and doing when they discovered the empty tomb and thought Jesus appeared to them (Wright 2003, pp. 602-4, 608-15, 649, 679-82). This should be interpreted differently, however. Wright is only contrasting the gospels, on the one hand, with Paul and other writers dependent on Paul, who do make the connection, on the other. What this lack in the gospels shows, however, isn’t that the gospels are early, unreflective, pristine, eyewitness accounts, but that they aren’t dependent upon Paul’s rhetoric. They show what I have argued in this essay: resurrection language wasn’t necessarily linked with concepts of a collective resurrection in a future age and could indeed happen to individuals . For a sampling of how common statements of this sort are in popular apologetics, cf. Gary R. Habermas & Michael R. Licona, The Case for the Resurrection of Jesus (pg. 307 n.38); Craig A. Evans, “In Appreciation of the Dominical and Thomistic Traditions: The Contribution of J. D. Crossan and N.T. Wright to Jesus Research,” The Resurrection of Jesus: John Dominic Crossan and N.T. Wright in Dialogue (pg. 56); William L. Craig, Reasonable Faith: Christian Truth and Apologetics (pp. 392f. ); Greg Monette, The Wrong Jesus: Fact, Belief, Legend, Truth … Making Sense of What You’ve Heard (pg. 189). See N.T. Wright, The Resurrection of the Son of God (pp. 28, 31, 205f., 477 & n.70, 553, 574, 628, 689). Wright thus ultimately adopts a kind of “minimal facts” approach to the resurrection, a method popularized by apologists such as Gary Habermas, Michael Licona, and William L. Craig. His case is similar to Craig’s, but instead of treating the belief in the resurrection of Jesus as an “independent fact” from the empty tomb and the appearances to be each best explained by the resurrection (as William L. Craig does, for instance), Wright takes the belief in the resurrection, in light of its “unprecedented” nature, to be evidence for the empty tomb and the appearances, which in turn are “best explained” by the resurrection of Jesus actually happening. See Wright, The Resurrection of the Son of God (pp. 710-18). See Susan J. Palmer & David G. Bromley, “Deliberate Heresies: New Religious Myths and Rituals as Critiques,” Teaching New Religious Movements (pp. 135-58). Wright’s parade examples are Simon bar Giora and Simon bar Kokhba (see Wright, The Resurrection of the Son of God, pp. 557-8, 700, 705). On why these figures aren’t really analogous, see Kris Komarnitsky, Doubting Jesus’ Resurrection: What Happened in the Black Box? (pg. 73), who explains, using Simon bar Giora as his illustration: “Perhaps the right circumstances and/or social and psychological mixture were not there to build a sustaining rationalization for Simon’s defeat. That his military movement was crushed militarily probably also added to the difficulty of forming some sustainable rationalization.” It should also be noted that these figures postdate Jesus by several decades–a full century in the case of Simon bar Kokhba. Of course, the fact that some creative spin on standard religious language for a novel religious concept could be “deviant” or even “heretical” (from the perspective of a parent religious group) never stopped deviant or heretical groups from forming. Wright considers ancient Christian belief in the resurrection of Jesus vis-à-vis wider ancient Jewish beliefs to be a multifaceted “mutation” (The Resurrection of the Son of God, pp. 9f., 28f., 175, 206, 210, 225, 372, 686, 688). This “mutation,” while continuous with those Jewish beliefs, is nevertheless inexplicable as plausibly developing out of Judaism’s jumble of ideas alone (pp. 374, 552, 709). He tries to rhetorically reinforce this discontinuity with terms like “drastic” (pp. 456, 699), “dramatic” (pp. 9, 476, 700), “startling” (pg. 28), “striking” (pp. 28, 450, 686, 695), “surprising,” and “shocking” (pg. 553). One might say Wright thinks of the idea of the resurrection of Jesus as a theological “Cambrian Explosion” that precludes any natural development and requires miraculous intervention. Needless to say, Wright would arguably not make a good paleontologist. For the many Greek and Roman equivalents to the concept Bryan discusses, which Wright underestimates in his book, see Richard C. Miller, Resurrection and Reception in Early Christianity. N.T. Wright, “Resurrecting Old Arguments: Responding to Four Essays” (in response to Bryan: pp. 212-16). Wright misunderstands this section in thinking that by “theodicy” Bryan means “a kind of reflection which must have come from non-canonical sources” (Wright 2005, pg. 213). But all Bryan means by “theodicy” is a general concern about evil, which in the case of 1 Enoch is expressed in “conversation” with foreign influences (which one suspects Wright would wish to deny for doctrines found in the Bible). Wright’s discussion of resurrection interprets it as developing out of Israelite restoration ideology, as Bryan explicitly quotes Wright concluding (Bryan 2005, pg. 156). This stems from Wright’s analysis of canonical sources to the exclusion of sources (like 1 Enoch) where this restoration ideology apparently plays no part. Wright misunderstands this quote to mean Bryan thinks he is arguing that because the doctrine of a future resurrection was widespread, this makes it more likely that Jesus was resurrected. But Bryan is focusing (as the abstract of his article makes clear) on Wright’s claim that individual resurrections would be “unexpected” by contrasting this notion with some sort of widespread, standardized belief in a collective resurrection. If Wright is exaggerating the evidence for the latter belief, his argument is in fact weakened (on its own terms), as Bryan states. Much to my surprise, the sharper and much more careful and charitable Dale Allison makes the same mistake when he critiques this part of Bryan’s article in the same journal issue. See Dale C. Allison Jr., “Explaining the Resurrection: Conflicting Convictions” (pg. 131). For Elijah and Elisha, see 1 Kings 17.17-24; 2 Kings 4.18-37; 13.20f. For the resurrections performed by Jesus, see Mark 5.21-4, 35-43; Luke 7.11-17; John 11. One should especially note that John the Baptizer, or perhaps some other prophet, was said to be resurrected in the gospels (Mark 6.14-16; 8.27f., and parallels in the other Synoptic gospels). This popular rumor contemporary to the time of Jesus essentially disproves the notion that no one would think of some one being resurrected before the future resurrection. There is nothing in Wright’s discussion of these passages (see Wright 2003, pp. 411-14) that makes me think otherwise. He considers it an ‘exception’ to the rule he made up (Wright 2003, pp. 28 n.67, 413, 689 n.8) when it should be considered a direct falsification of it. That such claims were current in the time of Jesus is suggestive in that it could also occur to Jesus’ followers to make the same rationalization about him when he died. It’s unclear to me from these passages in 2 Baruch whether the evil dead are resurrected. 2 Baruch 30.1-5 seems to suggest not. The metamorphoses that take place in 2 Baruch 51 seem to happen to the living, the recently resurrected living, and also the evil dead. On individuals being translated in Jewish lore often involving a special role in the future age, see Daniel A. Smith, Revisiting the Empty Tomb: The Early History of Easter (pp. 50-3, 56-8, 65, 73-6, 139f., 148f., 183f.). Additionally, the genre is arguably a translation tale, which includes resurrection as one of its themes. As a translation tale in a biography, we would not expect the extended theological commentary we find in the letters of Paul about implications for Jesus’ resurrection for the future resurrection. See Miller 2015, pg. 159. Also, consult the more succinct Richard C. Miller, “Mark’s Empty Tomb and Other Translation Fables in Classical Antiquity” (pp. 767, 769 & n.19). This entry was posted in Exegesis, Guest Blogs, Historical Jesus, History, Miracles, Resurrection and tagged Dale Allison, Daniel Smith, David Bryan, James Charlesworth, Markus Bockmuehl, N.T. Wright, Richard Miller. Bookmark the permalink. Wondering why the perspective if Richard Carrier, as set out in this recent essay, is apparently is not taken into account. Dying-and-Rising Gods: It’s Pagan, Guys. Get Over It. All that should be taken into account, I think. But I was focused on David Bryan’s discussion of the Jewish evidence to preempt any bogus objections that Jews wouldn’t have been influenced by all those nasty ‘pagan’ religions. Further, Bryan’s discussion motivated me to clear up what to seems like a mess of confused talk about the language of resurrection. I take Carrier’s more rigorous discussion in that link to be a larger complement to the little bit I discuss in the post. Someone asks Wright how, in the synoptic gospels, Herod could speculate that Jesus was a resurrected John-the-Baptist, if such a resurrection was as unthinkable to the 1st century Jews as Wright argues. “Herod was not well informed about the precise nuances of Pharisaic belief about resurrection” – the rise of Christianity did not require Jews who were so “well-informed”. “Herod could have thought of ‘resurrection’ as a kind of ‘reincarnation’” – right, because Jews who had no concept of individual resurrections were quite ready to accept reincarnations. I think the best manuscripts have “some were saying” which would mean Herod had to have gotten the idea from other people. If this is true, obviously, the idea of a single dying and rising figure *did exist* in Judaism and was “in the air” around the time of Jesus. There were a number of things that “some were saying” in the text, including that “John the baptizer has been raised from the dead” and that “it is Elijah” (which would be another case of resurrection. But in verse 16, Herod states his own opinion “John, whom I beheaded, has been raised”.